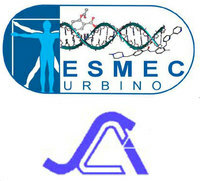 The European School of Medicinal Chemistry (ESMEC) and the European Federation for Medicinal Chemistry (EFMC) offer 13 (10 + 3) scholarships for the participation to the XXXIX edition of the school, scheduled from June 30 to July 4, 2019. The scholarships, covering the registration fee and the full board accommodation, will be assigned to PhD students attending PhD courses in European Universities (excluding Italian Universities). A Committee formed by members of the School’s Scientific Committee, Dr Antoni Torrens (representative of EFMC), Prof. Stefania Butini and Prof. Marco Macchia, will carry out the selection on the basis of the candidate scientific CV and research project.